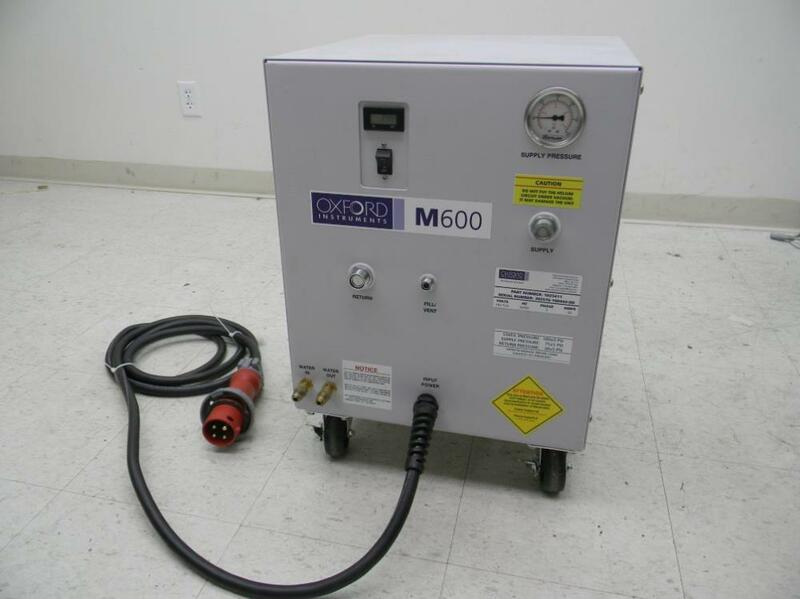 Oxford Instruments M600 Helium Compressor Cryopump Cryogenics Freezing Med. Hrs . New Life Scientific, Inc. This Helium Compressor in excellent cosmetic condition, and looks really clean and well cared for. It has been reviewed and tested by our technical staff and there is no known functional problems. Please refer to Technicians Notes for more details. This unit, along with the others we have, were removed from a plant in Phoenix, Arizona. They were set up for about a year, and then the plant shut down. They were in a very clean environment with great servicing by their in-house staff. We have 3 listings total for these units grouped together based on the hour usage. The first hour range is 700 to 1928 hours, the second is 2005-2897 hours and the third is 3070-3929 hours. This listing is for the 2005-2897 hour range. We can only guarantee that the hours on the one you receive is in the range stated. The one pictured may not be the one you receive. All of the compressors are 3 phase High voltage. Because of the quantity we have we are listing these way below the market value.